This weeks Gallery theme on the lovely Tara’s blog Sticky Fingers is Playtime. Playtime to me, means spending time with my kids. Whether that’s taking them out, crawling around the floor or jumping around like a crazy person. If there are smiling and laughing then I am smiling and laughing. This is my interpretation of playtime…. I love these pictures! Noah just got a trampoline from my parents for his birthday and is even saying 'bouncing, bouncing' in his sleep! Looks like that breadstick won't last long..
Gorgeous, I have always had a thing about giant teacups :-). Lovely pictures. Those teacups are particularly gorgeous! Lovely photos! 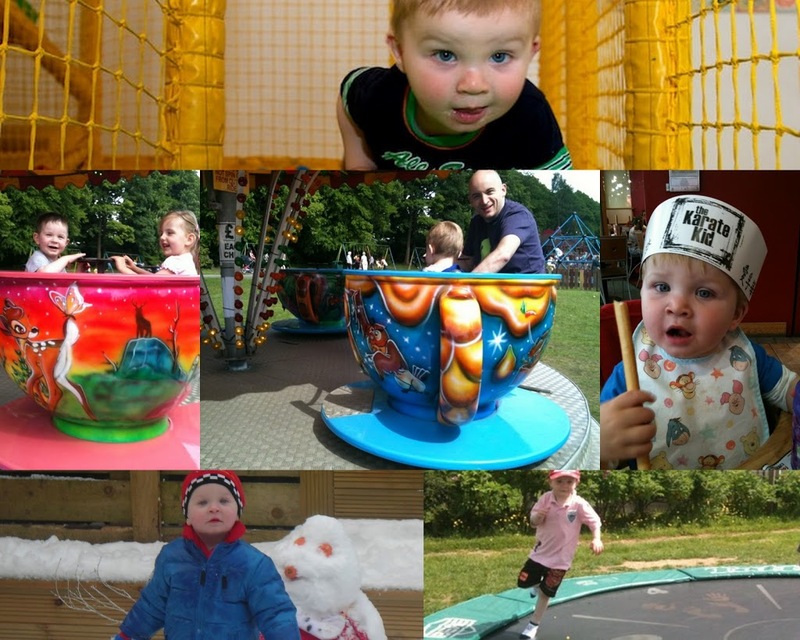 Lovely fun photos summing up playtime perfectly.